HTC is gearing up to expand its low and mid-tier range of smartphones with new handsets under the Desire Umbrella. It has dual SIM functionality with dual standby support. The Taiwanese mobile maker has silently launched a dual SIM version of the company’s over nine month old Desire X smartphone in the country and named it as Desire XDS. It runs on an outdated Android OS and a low capacity RAM. While the smartphone joins the race with Samsung Galaxy Grand Quattro and LG Optimus L7 II dual, they pack better specifications than Desire XDS. The leaked HTC Desire XDS pictures reveal that the smartphone looks identical to the 27-month old HTC Desire S.
The HTC Desire XDS features a 4 GB internal storage that can be expanded up to 32GB with microSD card support to store all your favorite stuff. Under the hood, it is coupled with a 768 MB RAM memory for providing high performance. HTC could have done better on display, this device has 4.0 inch Super LCD capacitive touchscreen display with a screen resolution of 480 x 800 pixels and a pixel density of 233ppi. The other advanced display features include multi touch input support and an improved HTC Sense 4.0 user interface. It has protective Corning Gorilla glass display to protect from scratches and ensure high durability. To enhance your experience, the smartphone has sensor apps like Accelerometer sensor, proximity sensor and digital compass. You can always keep touch with your friends and family members with social networking applications like Google Search, Google Maps, Gmail, YouTube, Calendar and Google Talk. The smartphone runs on Android 4.0.4 Ice Cream Sandwich operating system supported by a Dual-core 1 GHz Krait processor. It is also backed with Adreno 203 graphic processor and a Qualcomm Snapdragon S4 chipset to provide seamless multi-tasking and high visuals. Powered by a 1650 mAh capacity Li-Po standard battery, it can provide talk time of up to 20 hours and standby time of 10 hours. It houses a 5 megapixel rear camera for a maximum image recording resolution of 2592 x 1944 pixels. It comes preloaded with advanced camera setting includes an imageChip, BSI sensor, automatic adjustable flash, HDR mode. The device is capable of video recording with 480 pixels resolution at 30 fps. Its MP3 player and video player supports multiple format files. In terms of connectivity, the device features with EDGE, GPRS, Bluetooth v4.0 with A2DP, Wi-Fi 802.11 a/b/g/n, DLNA, Wi-Fi hotspot. It also has 3G connectivity support with HSDPA up to 7.2 Mbps and HSUPA up to 5.76 Mbps. It will also comes with micro USB and 3.5 mm audio jack ports. 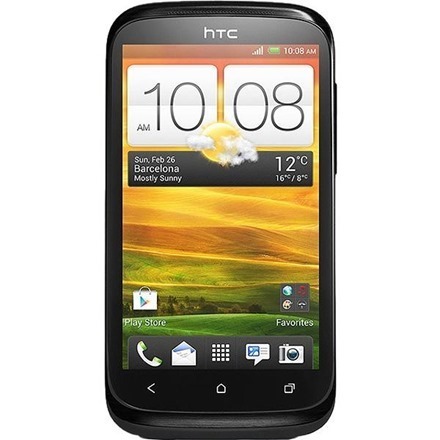 The HTC Desire XDS is available on various online sites with an affordable price tag. The HTC Desire XDS price in India is at INR 16,089. One online retailer site even claims to deliver it in four business days. If you’re on the look out for a mid-range smartphone with dual SIM functionality, the HTC Desire XDS may be well worth looking at.